Aesthetics and wearer comfort at the highest level. Silhouette glasses and sunglasses became popular in the 1970’s. Queen Elizabeth II herself sported the frames in 1982. Silhouette eyewear is classic and has been seen on celebrities like Lady Gaga, Patrick Dempsey, and Cate Blanchett. 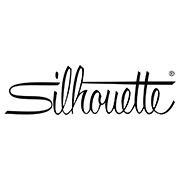 The Silhouette collection is available at Good Looks Eyewear. Visit Our Pittsburgh or Cranberry Township location to pick up your glasses.